Happiness is a hot pierogi: My Piada Giveaway WINNER! 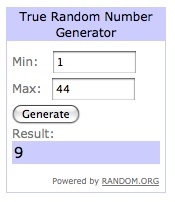 Congratulations to A Sleepyheaded Mom for winning the Piada giveaway! The winner has been notified. Stay tuned for more fun!